Once called Dicearchia, Pozzuoli is still a fascinating town where new and old are mixed together to form an extraordinary fusion of past and present. 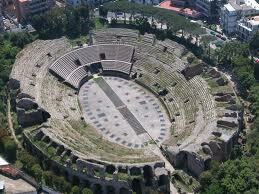 We will visit the famous Macellum, half submerged by the water of the nearby sea. This building was originally thought to be the Temple of Serapis, but it then proved to be the market, built during the 1st century b. C. It testifies the importance of Pozzuoli as a commercial centre since the greek time. We will then get to the Amphitheatre, built during the flavian age, which is considered to be the world's third largest one. 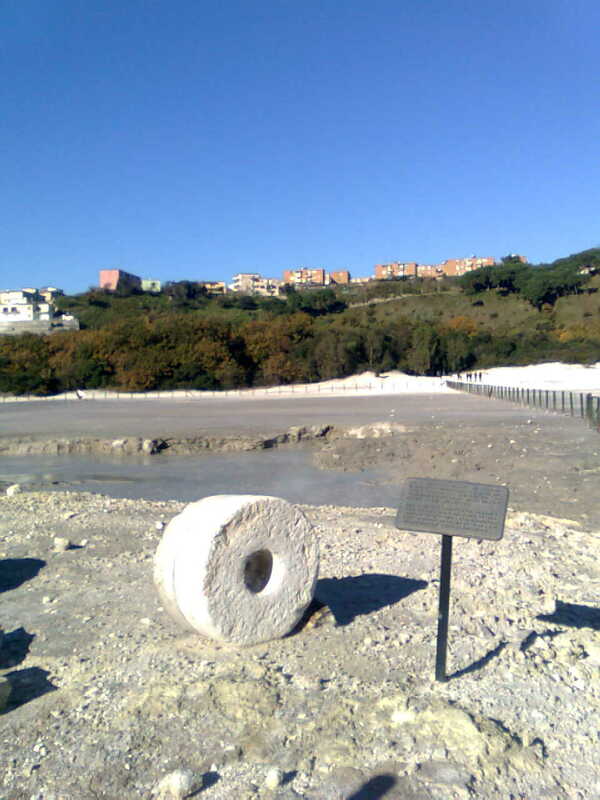 What makes Pozzuoli unique, is the Solfatara, the volcano from which vapours and steaming mud are still coming out, so we will have a stroll inside it. Pozzuoli has also got a splendid waterfront, flanked by modern pub, restaurants and bars, where different generations use to spend their free time. We can then decide to stop here for something to eat or for a drink or an ice-cream, or just to see the fabulous view of one of the most beautiful bays.